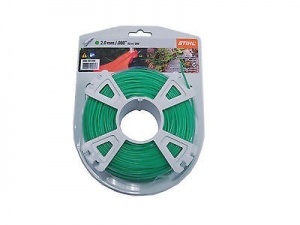 Water-resistant, long-lasting and flexible mowing line. 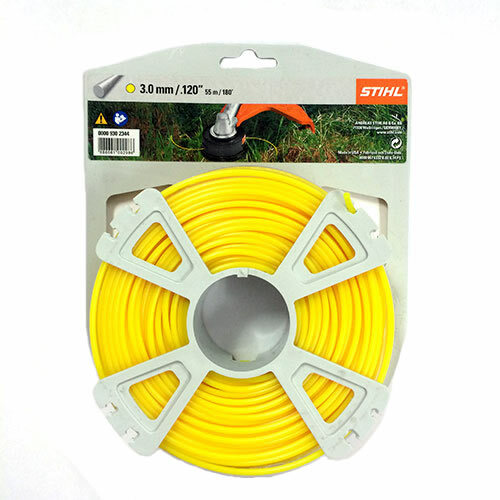 2.4 mm diameter mowing line designed for STIHL's trimmers and brushcutters, this is a genuine STIHL product supplied in a 43 metre roll. 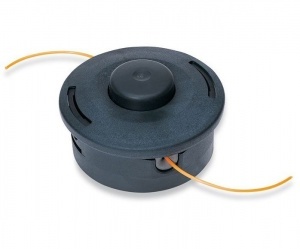 It is a great choice for replacing worn line to give your machine a new lease of life. 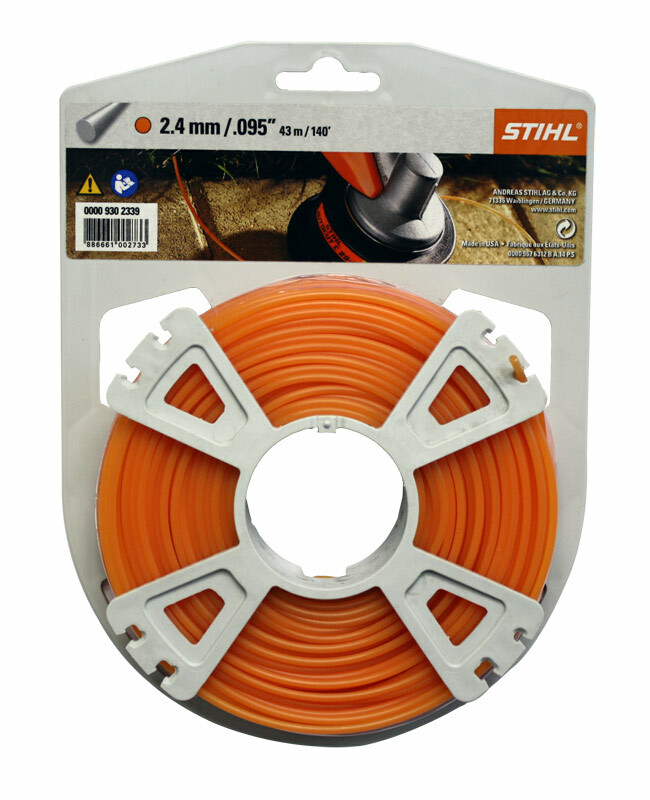 STIHL's 2.4 mm round mowing line is compatible with the AutoCut C 6-2, AutoCut 25-2 and AutoCut C 26-2, the SuperCut 20-2 and SuperCut 40-2, plus the TrimCut 31-2, TrimCut 41-2 and TrimCut 51-2 mowing heads. For effortless operation, this two line mowing head allows you to easily extend the line simply by tapping the mowing head on the ground, perfect for easy mowing and clearing work. 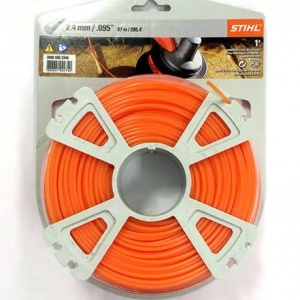 Ideal to enable easy replacement of the worn line on your STIHL mowing heads, this 133 metre long reel of 2.0 mm diameter mowing line is a genuine STIHL product.